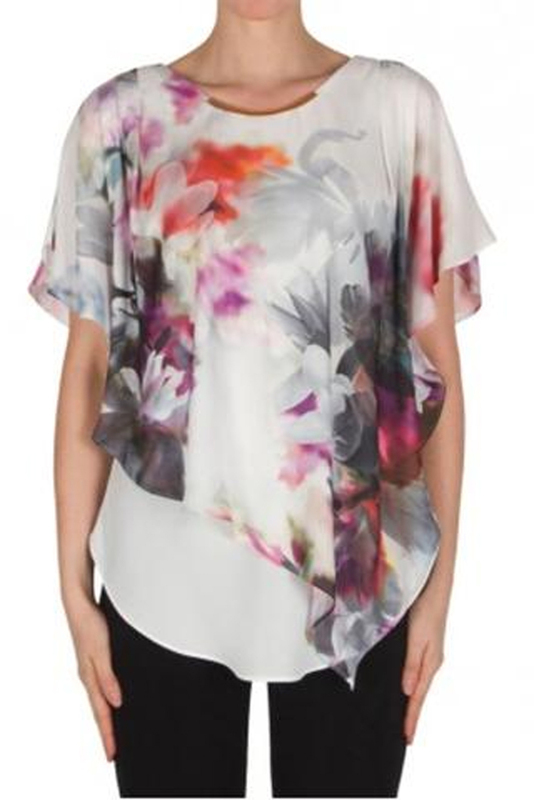 Beautiful Joseph Ribkoff Watercolor Blouse has short fluttery sleeves. Completely lined in white with the outer in a hi-lo hemline. Soft watercolor floral design in grey, magenta and coral printed front and back. Signature Joseph Ribkoff golden metal piece at neckline. Hand wash. Made in Canada.